Building muscle and losing weight is different for women than it is for men. With the help of different chromosomes and hormones, women are biologically made with smaller muscles, but able to put on weight easier. 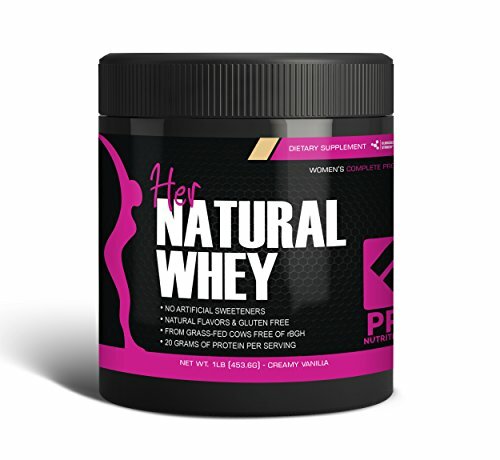 Investing in a whey protein powder that’s designed specifically for women is usually suggested, so we wanted to look at Pro Nutrition Labs Her Natural Whey Protein Powder. We wanted to see if it includes all the necessary ingredients and nutrients that a woman needs in a protein powder. Her Natural Whey Protein Powder is a product that was released in 2015. The company is known for their manufacture of nutritional aids and supplements and developed the all-natural source of protein for their female clients. Though it is designed for women, there’s no saying that men can’t use it, too; they just may not get the same results. Her Natural Whey Protein Powder is ideal for women who are looking to lower their body fat percentage, add leaner muscle, or both. It’s also an excellent source of nutrients for women who need an energy booster throughout the day, or who don’t have enough time during their busy schedules to make a well-balanced snack. 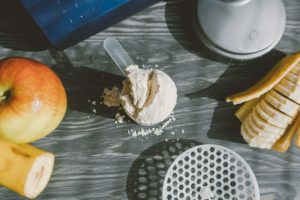 As the protein powder is a clinically studied dietary supplement, there isn’t much that comes with it, so you don’t have to worry about boxes of ingredients that you need to blend. 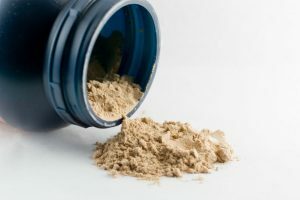 The protein powder is pre-mixed with the proper amount of nutrients and comes in an aesthetically pleasing container that holds various amounts of product. The ingredients are clearly outlined on the back of the container, and a scoop is included inside. Pro Nutrition Labs designed Her Natural Whey so that you can get the most out of your training and your weight loss. 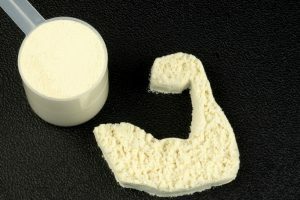 There are 20 grams of top-quality, rBGH-free whey protein in each serving, and it comes from grass-fed cows. With each serving, there are two grams of fat, three grams of carbs, and 110 calories. It is not formulated to help with gaining weight, and alternatives should be looked at if you’re seeking that result. The specialized formula uses wholesome and natural ingredients to start the process of protein synthesis, which aids with building leaner muscle. It’s gluten-free, naturally flavored, and all unnecessary and potentially unhealthy ingredients and fillers are left out. 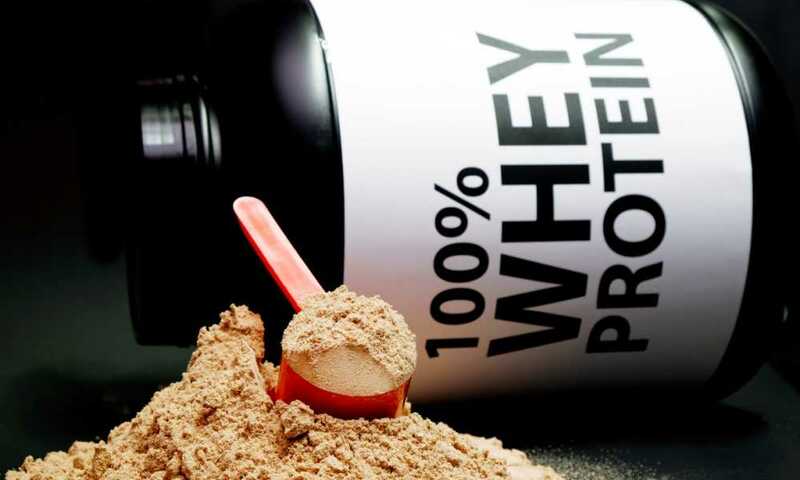 Pro Nutrition Labs encourages you to compare their ingredient list with other whey protein powders designed for women. There are also no artificial sweeteners, and it’s sweetened with stevia plant leaves. The 20 grams of the protein enables you to feel fuller for longer and curb your appetite, assisting with weight management. 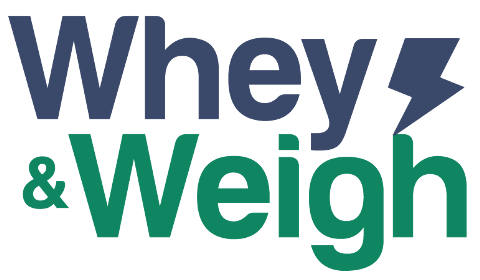 Whey protein helps keep you satiated longer than fats or carbohydrates do. Additionally, Her Natural Whey includes five grams of branched-chain amino acids (BCAAs) to help boost endurance. 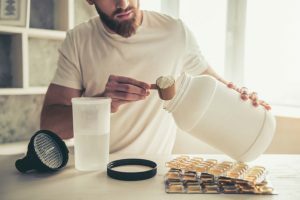 Incorporating Her Natural Whey Protein Powder into your daily routine isn’t difficult. You simply need to determine the time of day that it’s best for you to drink it. Then mix your meal replacement shake with the amount of water that gives it your preferred consistency. 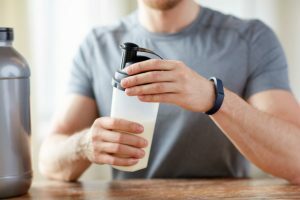 If you are looking for sustained energy during your workout, drink the protein shake approximately 45 minutes before you begin. 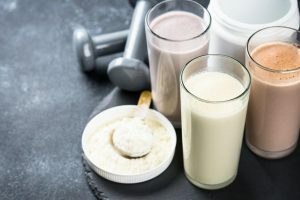 If you are looking to help repair and ensure you don’t lose muscle from exercise, drinking your protein shake after your workout help with faster recovery. 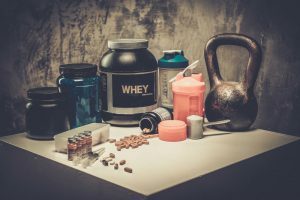 There is actually a huge market for whey protein products that are specifically designed for women, and tons of brands to choose from if Her Natural Whey doesn’t provide what you need. Products such as the FitMiss Delight is a gluten-free, complete protein shake that’s designed for women. In addition to providing optimal levels of protein, it has only 90 calories per serving and is packed with nutrients. It also has digestive enzymes and Solathin for appetite control. As a secondary alternative, BeLive’s Collagen Peptide is becoming more popular. It’s a supplement to the brand’s bone broth powder. It’s dairy and soy free, and paleo friendly. The BeLive Collagen Peptide protein powder is well-rounded, and helps with weight loss, building lean muscle, encourages a healthy digestive system, and benefits your skin and nails. It’s also made in America, in an FDA-approved, GMP-compliant building. Overall, the Pro Nutrition Labs Her Natural Whey Protein Powder is highly recommended. It’s got a great taste that is smooth and creamy for the amount of protein in it. There are no reports of it not being safe for pregnant women to drink, and it tastes even better when you mix it with almond milk. It works well with keeping you feeling full longer and does ensure you remain energized if you drink it before your workout. 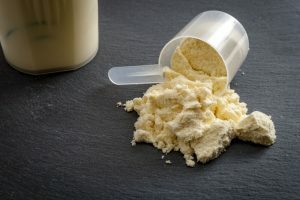 It is pricier than some other women’s whey protein on the market, so if you’re on a budget, it might be beneficial to find something with the same ingredients, at a cheaper cost, especially if it’s going to be incorporated into your daily routine.